This topic is to share & list all Quarry Driver 3: Giant Trucks official sites to play the game, as well as related useful sites & information. Here is the official Apple iTunes link for you to download and play Quarry Driver 3: Giant Trucks on iOS (iPhone, iPad, iPod), by Play With Games Ltd.
Screenshot 1: 10 of the Biggest Trucks to Choose! Screenshot 2: Sharp Turns and Steep Slopes! Screenshot 3: Busy. Worked-In Environment! 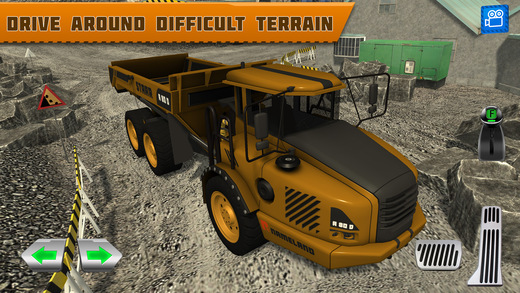 Screenshot 4: Drive Around Difficult Terrain! Screenshot 5: Control Powerful Vehicles! 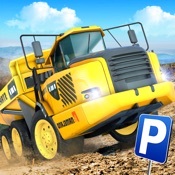 Quarry Driver 3: Giant Trucks release date is on 2017-05-14, a Play With Games Ltd racing game which you can download and play on mobile for Free, with storage space requirement of 278 MB. 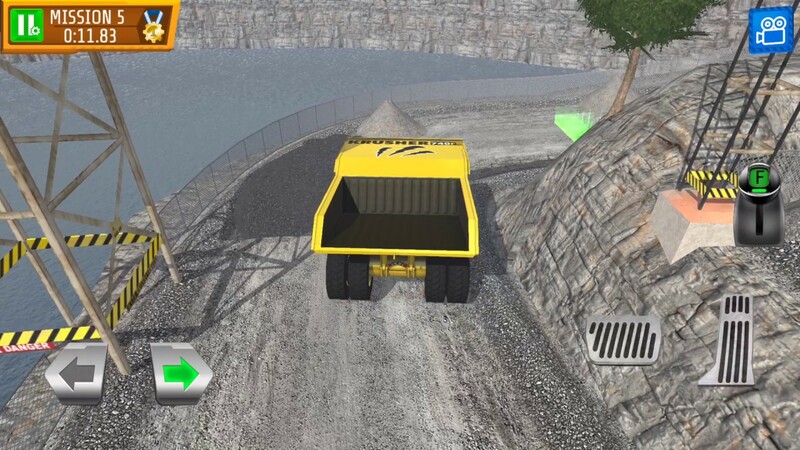 Top sellers in Quarry Driver 3: Giant Trucks game are pile of coins, deluxe pack & sack of coins. 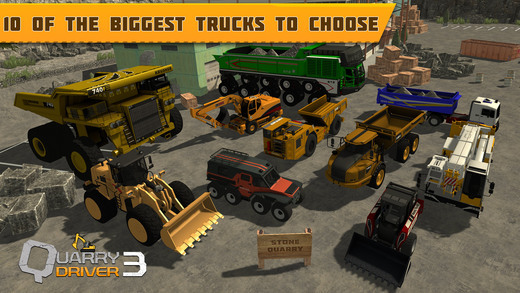 If you found other related official websites for this Quarry Driver 3: Giant Trucks game besides iOS like android apk, google play store, FB, Twitter, wiki, or other sites to download & play Quarry Driver 3: Giant Trucks, share with us in the replies below. 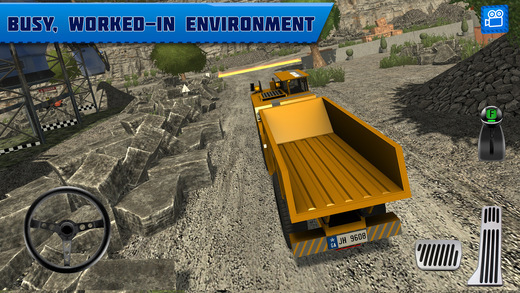 You can also write your own description & review for this Quarry Driver 3: Giant Trucks game and share with us in the replies below. 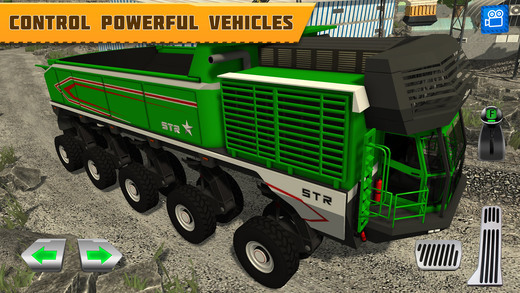 Well, if you like to have a feel of how to be driving big and giant trucks on the construction place, as the construction worker, then you should try out this Quarry Driver 3: Giant Trucks. Just like any other driving parking game, you have to drive carefully from point to point (follow the green light) and then finally stop and park in the green light parking slot as indicated. You have to be careful though, if you accidentally knock on something, or scratch something, then you will have to start the mission again, or you will have to watch a 30s video ads to resume the mission form a point just before you knock on the obstacles. Big trucks are actually easier to control because of the slower movement speed, just the size is bigger compared to other vehicles, so it's easier to knock into obstacles if you do not concentrate driving carefully. Also, though there are 10 giant trucks for you to unlock and play them to complete missions, more features should be added like daily missions and achievements for extra rewards. Very nice game i am playing that type of truck game in my childhood. I continue playing games in my college life. I loved the games so much. But after college i choose australianwritings writers for writing assignments and essay and my schedule was almost busy. By doing job I was no time to play game. Those days are not forgettable because i enjoying to play with games and now only jobs.